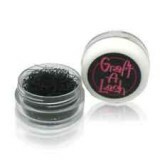 Graft-A-Lash lashes are made from silk fibres. 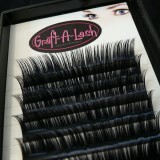 They are very light to wear and come in a va..
Mink lashes are faux. Each pack holds 3200 lashes. 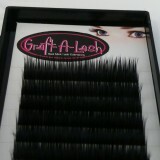 Mink lashes come in C curl 9, 1.. Various Curl, Length and Thickness available. 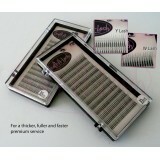 Choose from : - J Curl, 0.10 thick, ..
W and Y Lashes for a fuller, faster premium service. Each pack holds 320 lashes. B..
Bejewelled W lashes have a Swarovski crystal on each lash! 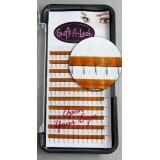 These lashes are great to add in for s..
B Curl .07mm thickness. Various Lengths available. 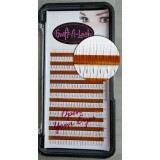 Choose from : 8mm, 9mm, 10mm, 11mm, 12mm ..
B Curl .05mm thickness. Various Lengths available. 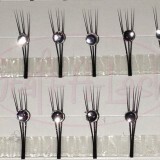 Choose from : 8mm, 9mm, 10mm, 11mm, ..